Frédéric Chopin was of both French and Polish background. He grew up in Warsaw. After the 1830 November Uprising in Poland, Chopin settled in Paris. At age 21, he took up his residence in Paris. He would live in nine other places there until his untimely death at age 39. Even if you do not play piano, look at the musical illustration. It simply looks quite frilly. A few notes could replace the incredible ornamentation use by Chopin. The music in sound parallels the dress of the King. Musical ornamentation of the Baroque era was amply revived for the piano by Chopin in the Romantic, about 75 years later. Ornamentation is music is seen in ornamentation in dress. 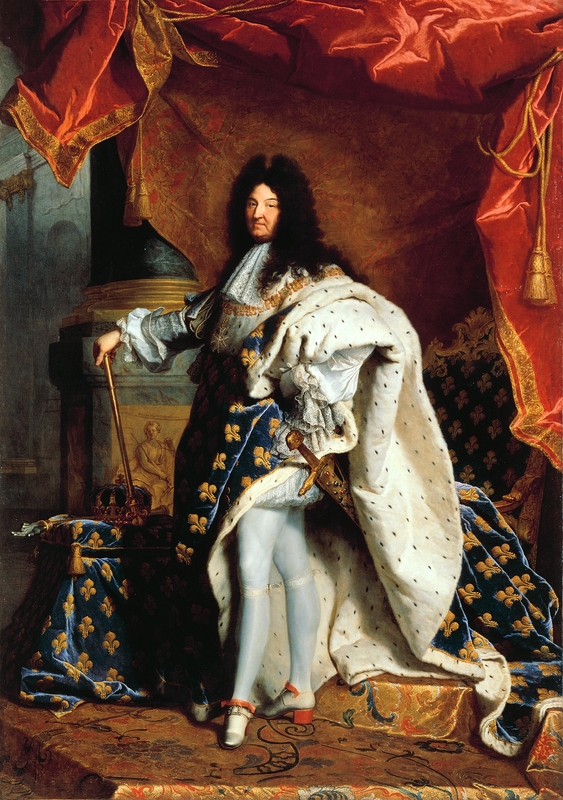 Dress of Louis XIV. But wait. As if that wasn’t complex enough! In contrast the Italian school permitted arbitrary ornaments. Schooling was combined with personal imagination. This included a number of different ways chords could be rolled. The great musical bastion of the baroque era was J.S. Bach. He was quite familiar with French ornaments. It is known that he copied the ornaments of Dieupart. However, at times he used those of the Italian school. Like all great composers, his interests were not limited. Final point: Beautiful melody, as Chopin and other Romantic writers once wrote, is returning. The American melody parallel is the Big Band music of the 1930’s. An education in ornamentation is part of the total package. Many more blogs will be upcoming on this subject. Keep checking DSOworks.com. Exciting musical events are in the making!